Mizoram, in the local language, means the land of Mizos. Mizo itself means highlander. Under the British administration, Mizoram was known as Lushai Hills district. In 1954 by an Act of Parliament, the name was changed to Mizo Hills district. In 1972, when it was made into a union territory, it was named Mizoram. 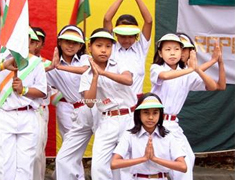 Mizoram became the 23rd state of the Indian union on February 20,1987. 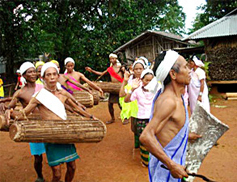 Mizoram was inhabited by the tribal groups of Tibeto-Burmese race.. The economic life of the Mizos has always been centered around jhum or shifting cultivation. 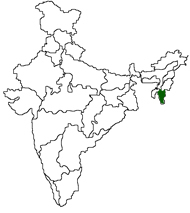 Mizoram occupies the north east corner of India. In shape it is rather like a narrow and inverted triangle.